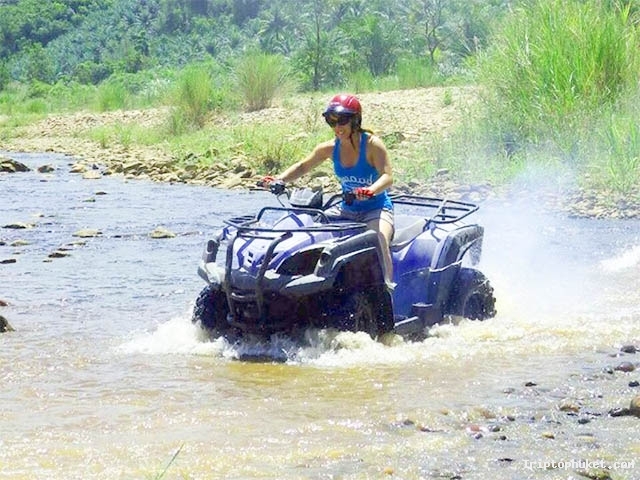 Get close to nature with this ATV tour in Phuket's neighboring province of Phang Nga. Drive through countryside, villages, farms and rivers. 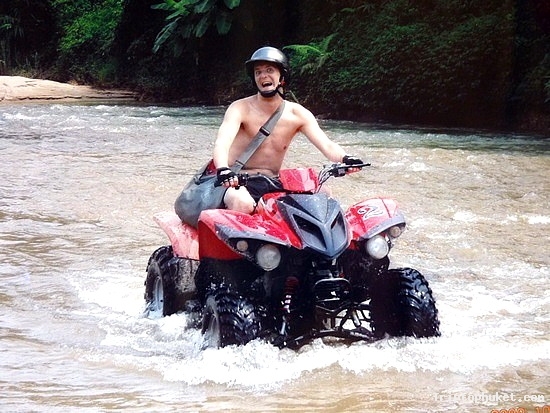 This tour will have a close-up look at South Thailand's fascinating rural life. 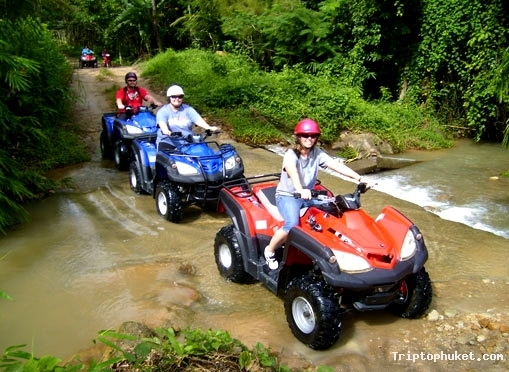 Registration & 4WD ATV tour orientation with tour program, safety tips, briefing and ATV training. 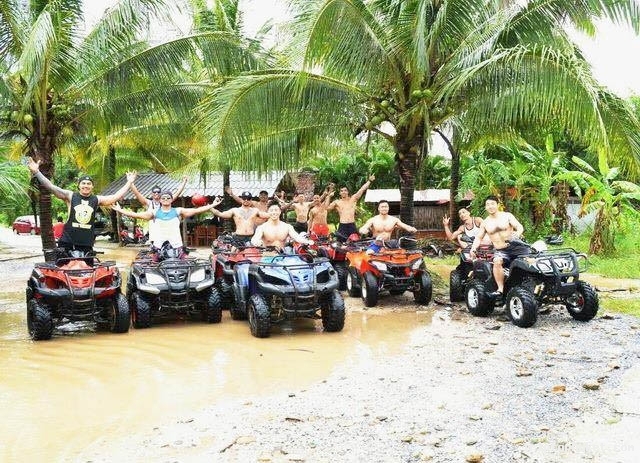 Tour starts by fun riding on off-road trail among the great environment of local farms, plantations and jungle to the remote village. 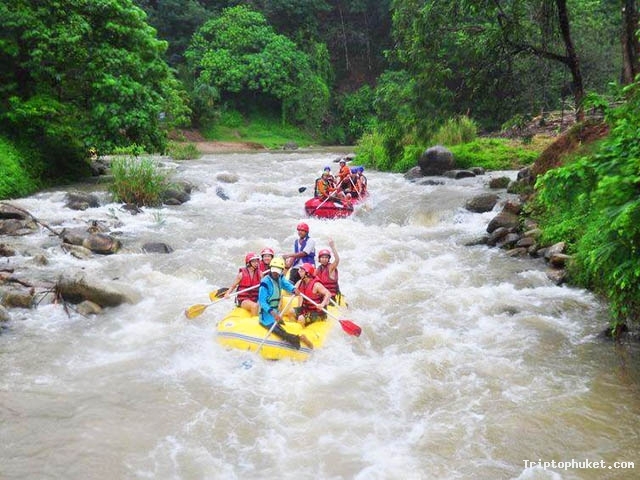 The real adventure starts where the road ends, where you can experience the next level by riding in river. 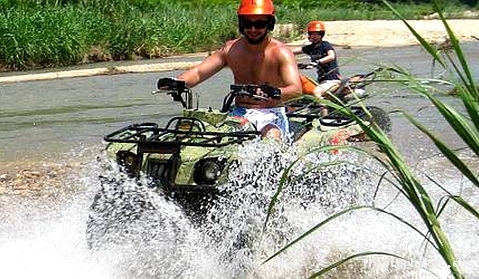 This is a great opportunity to cover the more advanced skills of ATV riding. 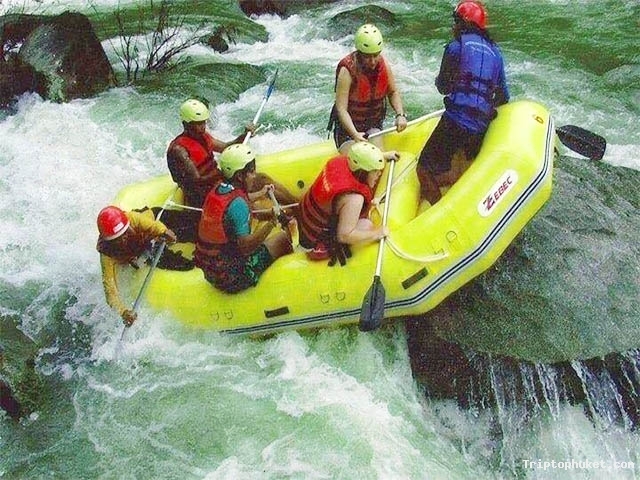 And allows you to head to the hidden waterfall, secretly kept for all nature lovers. You can enjoy swimming, refreshments and snacks. 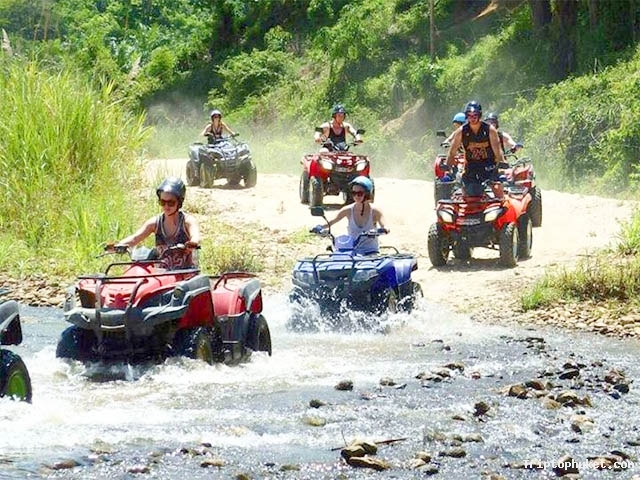 The most exhilarating part is the adventurous up hill trail where you will learn how to ride ATV up to the mountain peak and where you can experience the spirit of High Lander. 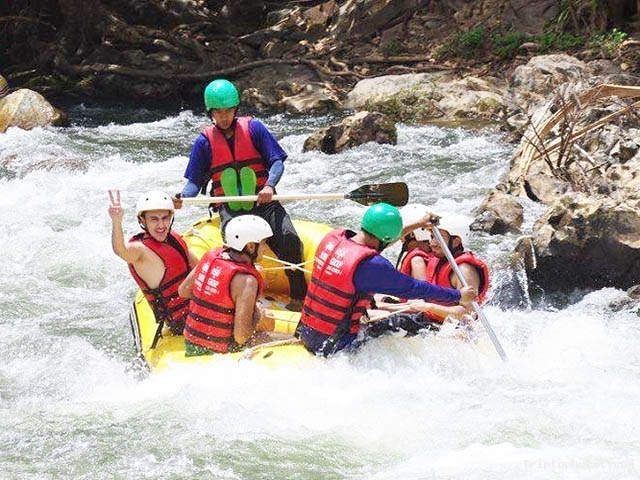 Here you can take a short break to enjoy the fresh & cool mountain breeze and its scenic view and take some beautiful shots for your unforgettable memories. 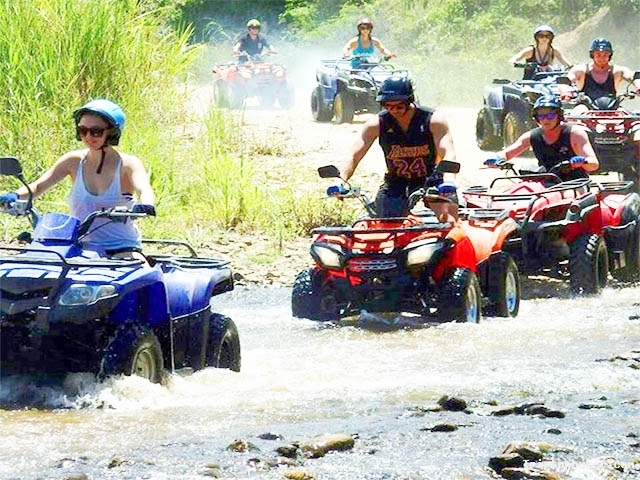 Cool down your ATV and yourselves by riding down hill and back to the ATV camp, enjoy fresh fruits in season, lunch and cold beverages and transfer to your hotel. 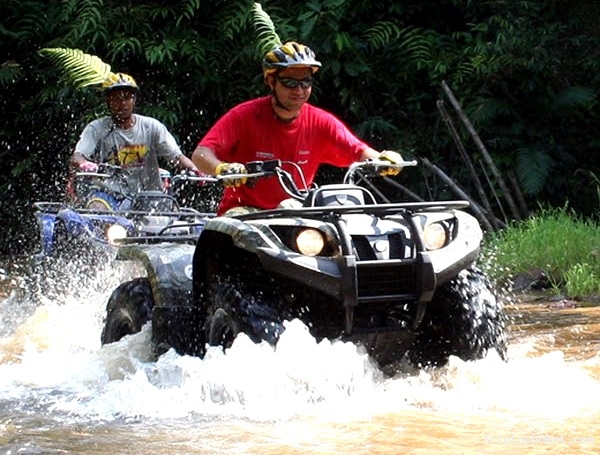 Note : IMPORTANT : The riders have to be in good physical and mental condition to ride safely. Therefore, no alcohol and drugs influence, pregnancy as well as physical problems are allowed. 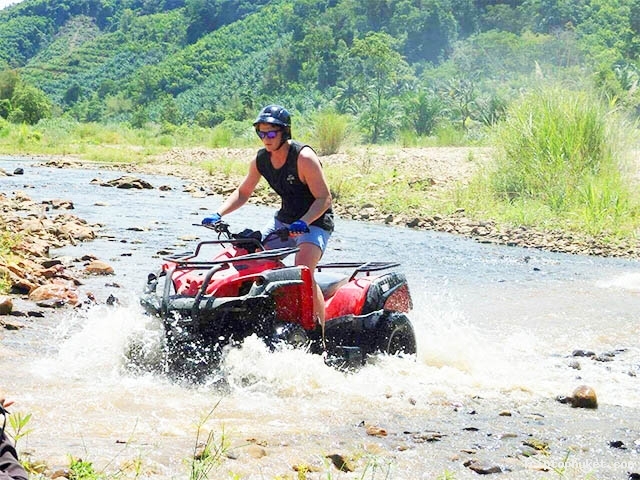 In case of rider with passenger, acceptance will be under tour operator s consideration and guests shall accept to sign a waiver form and use protective gears such as helmet, glove etc. * Child & Passenger are same price.